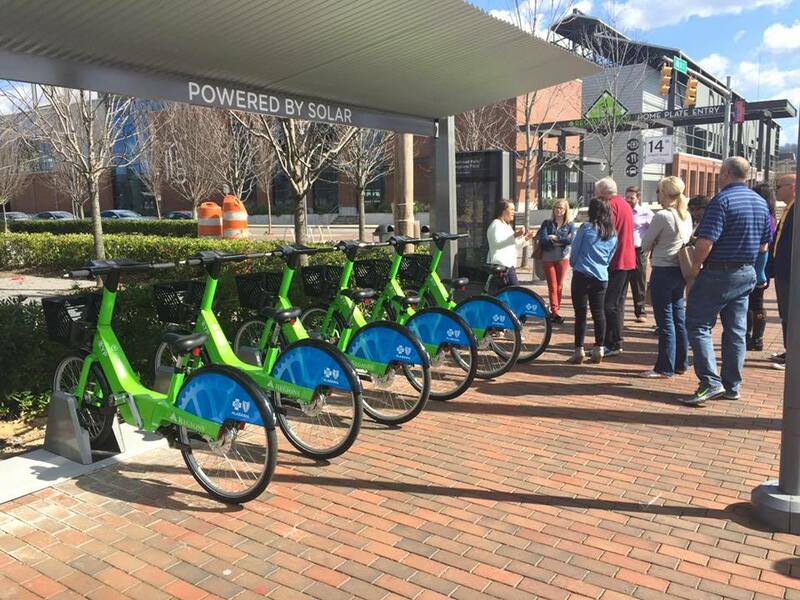 ACTION ALERT : Metro Council to vote on Bike Share funding. This Wednesday, October 25th, the Baton Rouge Metro Council will vote on whether to provide funding to the Baton Rouge Bike Share, without which the Bike Share will either fail, or be forced to run in a more limited capacity than the currently planned 82 stations and 800+ bikes. The majority of the funding ($2.1 million of about $3 million) for the Bike Share is set to come from corporate sponsorship and user revenues, with about $850,000 coming from a federal Transportation Alternatives Program grant, of which the city is required to provide a 20% match ($260,000). The metro council hearing must authorize the city parish to provide these funds. Using economic analyses of the project and of existing Bike Share programs, such as the Zyp system in Alabama, Bike Baton Rouge estimates that use of the Baton Rouge Bike Share system will generate around $650,000 in economic benefits for Baton Rouge per year, paying for the City-Parish investment swiftly. To make sure our Bike Share system gets funded, we're asking you to contact your council person and ask them to vote to approve the city-parish to spend this amount to make Bike Share in Baton Rouge a reality. Below, we've provided contact details for all twelve metro council members, a map of our districts, and a template email that you can send to your councilperson. Click HERE for a zoomable district map. On Wednesday, October 25th, the metro council will be asked to vote on the proposed funding of a small portion of a Federal Transportation Alternatives Program grant to help fund a Bike Share System in Baton Rouge. This funding, at $260,000, is less than 10% of the overall $3 million budget for the project, and the economic benefits of the program, which Bike Baton Rouge estimates at $650,000 annually, will see this investment pay for itself in healthier and happier residents of Baton Rouge in just a few months. I urge you to vote to approve this funding amount. Older PostWhy did the pedestrian cross the road? Your rights as a pedestrian.